Before you throw the liquid from a chickpeas can down the drain..
That liquid is a perfect substitute for eggs! You can make amazing recipes with it. First, can I just tell you how much I LOOOVE Aquafaba?? Then, came Aquafaba and changed the lives of vegans everywhere! Literally translated -> Aqua (water) and Faba (beans). 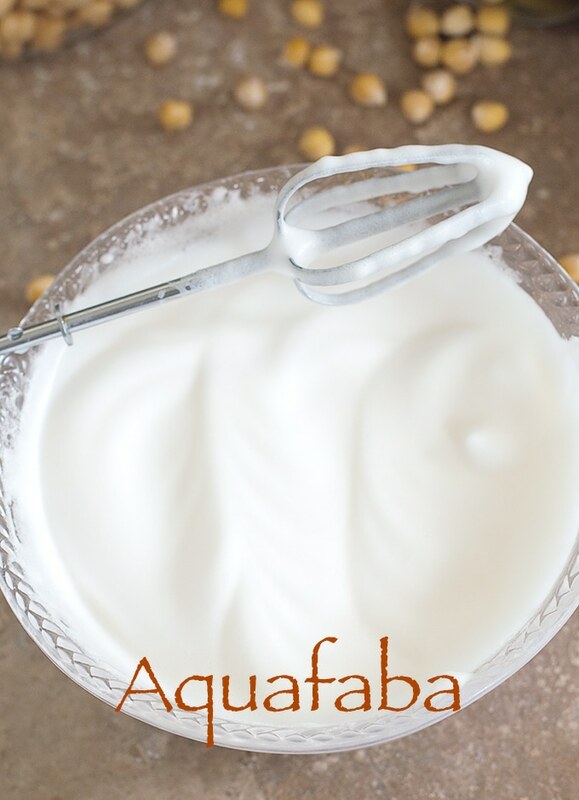 Aquafaba is the liquid that is found in chickpea cans. Back in December 2014, a French Tenor by the name of Joël Roessel discovered that bean liquid can be manipulated into making a foam and can be used in vegan recipes. He posted this finding on his blog without realizing that it would become the origin story of Aquafaba. In February 2015, 2 French foodist took to YouTube and posted an amazing video of what would happen when chickpea brine (the liquid that chickpeas are soaking when you open a can) was “beaten” to a foam. They made a chocolate meringue on the video. One of the problems faced by these French foodist was that they couldn’t keep the foam stable. That’s when Goose Wahlt came up with his own creation. Wahlt is a software engineer located in America and he was doing his own experiments on vegan egg whites. Through his experiments, he came up with vegan meringue using just the chick pea liquid and sugar. He posted this recipe in a Facebook group (What Fat Vegans Eat) and in Vegan Meringue – Hits and Misses. Now, a year later, there are hundreds of desserts, savory recipes and drinks made using Aquafaba. Personally, my favorite way to use it is in savory recipes. Check out my eggplant Parmesan sandwich! I use aquafaba to coat the eggplant with a flour mixture. For my eggplant recipe, I stop the foaming process about 5 minutes after starting. Technically, you don’t need to whip the liquid when using it for coating purposes. However, I find it easier to work with after I have whipped it. 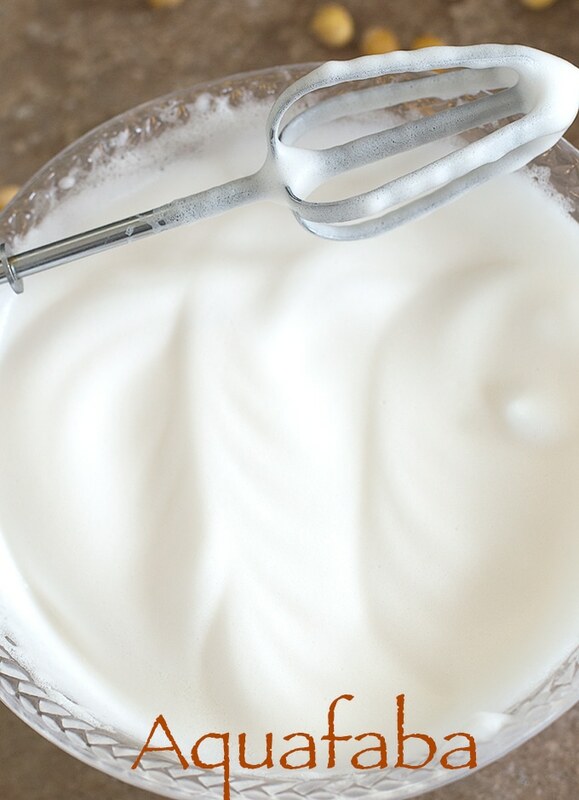 To use it in desserts, whip the chickpea liquid for about 20 minutes. When you start seeing the ridges, it is ready to be used in desserts. If you want to get the effects faster, do what the Minimalist Baker did. She put cream of tartar in the liquid before whipping it. For beginners, I recommend using the chickpea liquid from store bought cans. If you have the time and/or patience, you can make the brine from scratch. The process is time consuming and requires you to wait around. It can take about 2 days, just to make the brine before you can whip it. Once in a while, you can take a shortcut or two…. If you are not a fan of cans, you can get the chickpeas in a jar from Amazon. 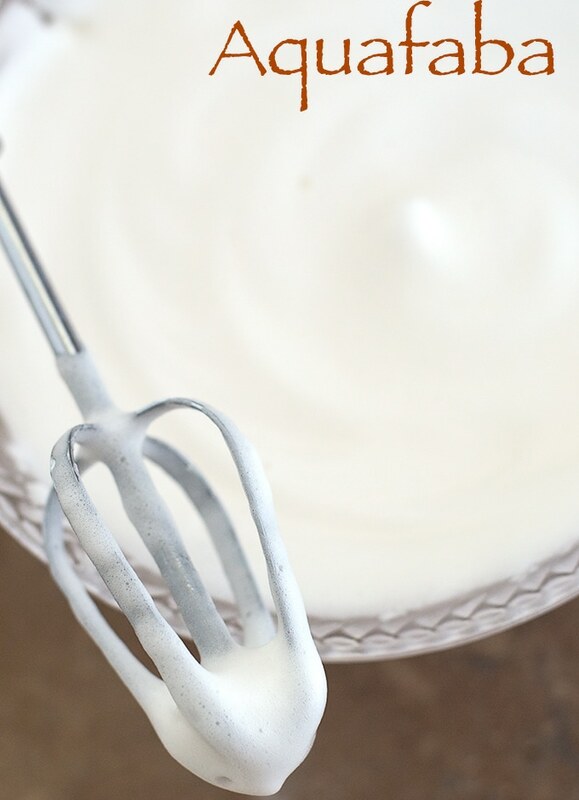 So, what recipe are you going to try using Aquafaba? 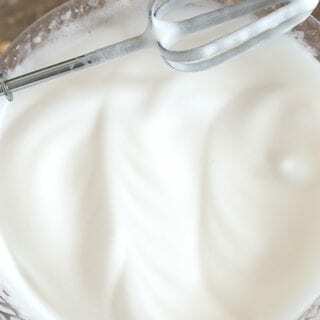 To use it as a binding agent in any recipe, like desserts, whip for 20-25 minutes.